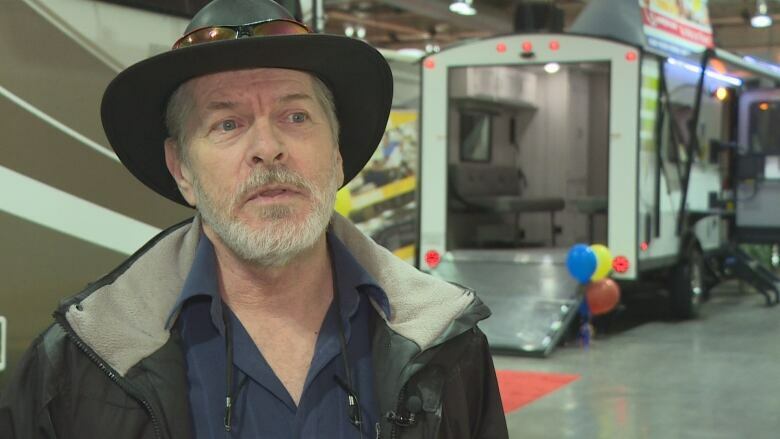 More than 25,000 people are expected to hit the four-day Calgary RV Expo & Sale at the BMO Centre in Calgary this weekend. Vendors are showcasing everything from trailers to motorhomes. Prices range from $10,000 to north of half a million. Despite the downturn in the Alberta economy, show manager Dan Merkowsky says he hasn't seen a serious drop in provincial sales numbers just yet. "We've seen some pretty substantial growth every year over the last six years," he said. "We had a bit of downturn in 2018, about eight per cent down over the year previous, but we've seen great growth prior to that. Overall, we still think the industry is strong." 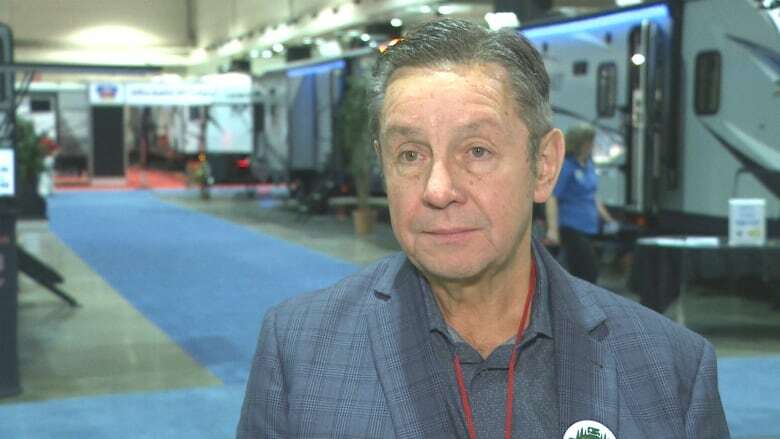 He estimates dealers in the province sell about 13,000 new units each year, adding millennials (those born between 1981 and 1997) are a growth sector especially when it comes to small and mid-sized trailers. Carl Collins owned one in the past, and is now looking to buy another one. 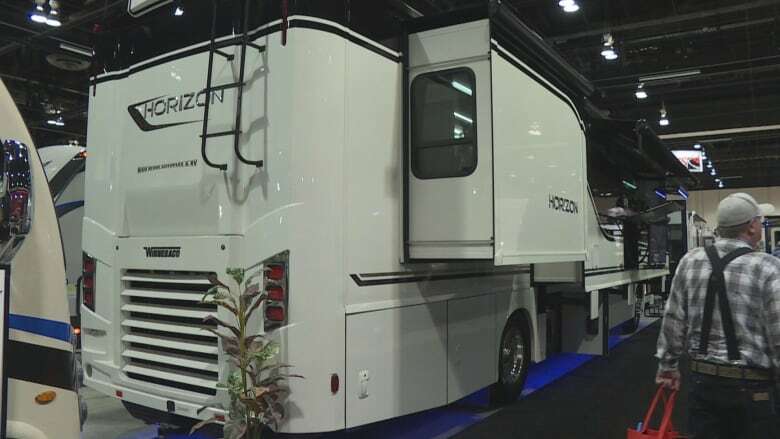 As he kicked some of the trailer tires at the expo Friday, he said he's looking for either a fifth wheel or a motorhome. "I've done it for maybe eight or nine years. What I like is the fact of the freedom: to be able to just get up and go whenever you want and stop whenever you want, whether it's a day or a week or a month," Collins said. And organizer Merkowsky is hoping to see more visitors like Collins.